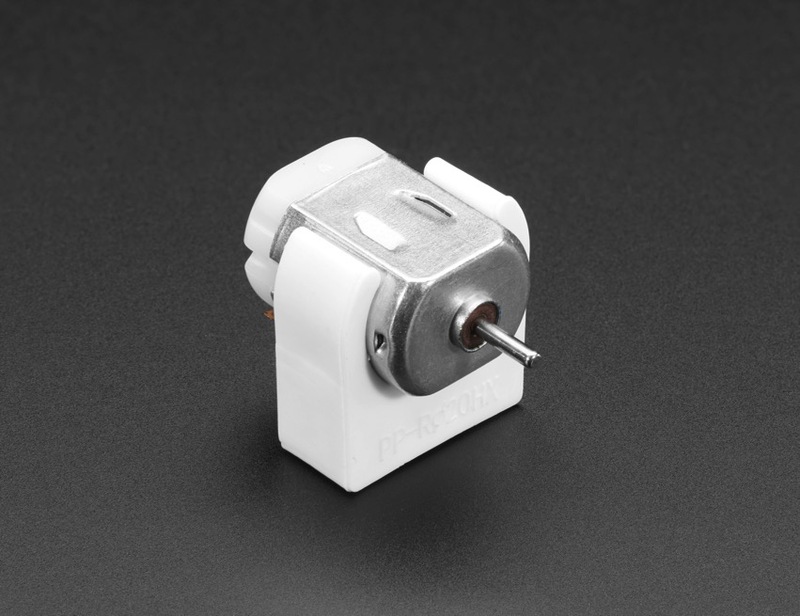 NEW PRODUCT – DC Motor Plastic Mount – 130 Size / 20mm Diameter « Adafruit Industries – Makers, hackers, artists, designers and engineers! We couldn’t let the DC Gearbox “TT” motors have all the fun! If you’re using some sort of motor, there’s a really good chance its a low cost DC Motor in “130 Size”. We stock these in the shop, they’re the most basic kind of motor, very inexpensive and easy to find around the world. DC hobby motors are typically cheap and easy to use, but can be tricky to mount onto your project. 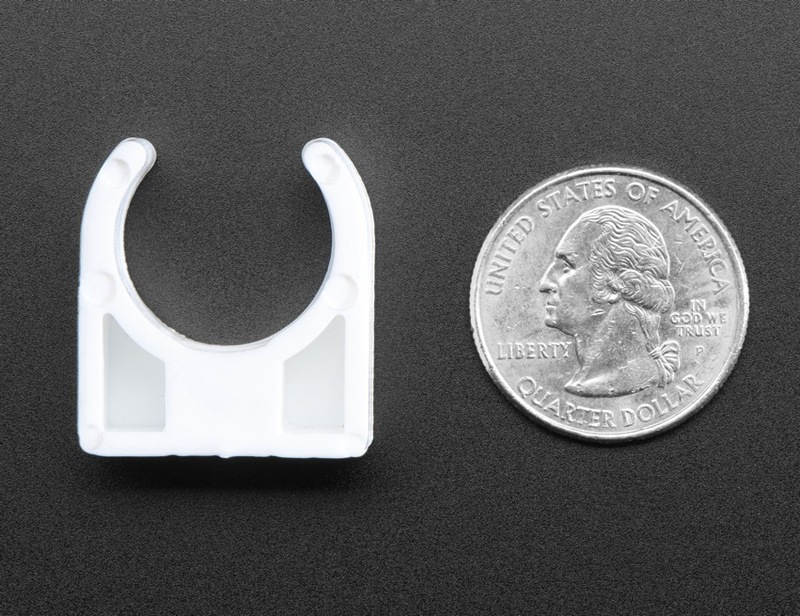 There’s no mounting holes or slots or tabs. 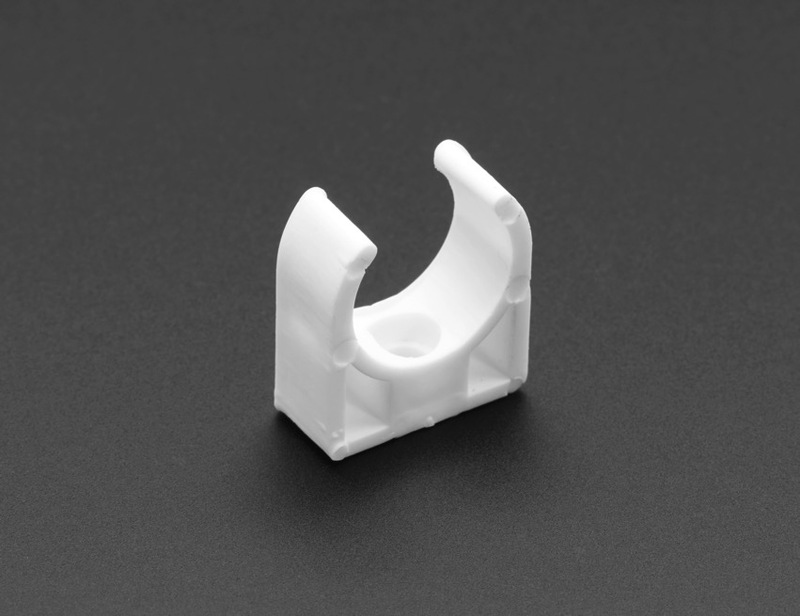 That’s where this little plastic helper comes in – the DC Motor Mount in 130 Size! 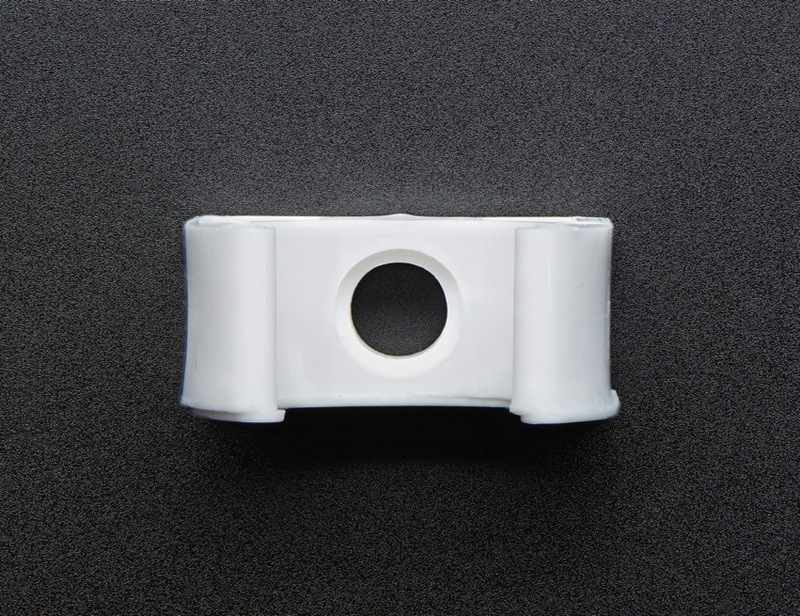 The plastic is just flexible enough you can press-fit a DC motor with 20mm diameter inside, but it will grip it nicely. In the bottom there’s a hole for an M4 screw longer than 7mm.